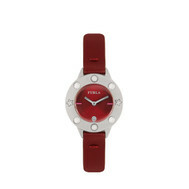 The Furla Metropolis women's watch stands out for its leather strap and the round 31mm metal case. 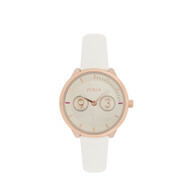 Equipped with a lumious dial, it is both a functional and refined accessory, ideal for every moment of the day. The women's watch Furla Metropolis, characterised by the presence of soft leather and metal, comes in the shades of nature in bloom. This functional and refined accessory, suitable for every moment of the day, has a luminous dial and a round 31mm case. - The watch displays the day of the week - The watch displays the day of the month - Three o’clock and nine o’clock hands in contrasting colours. The Furla Metropolis women's watch stands out for its metal mesh strap and the wide round 38mm metal case, both in silver. Equipped with a lumious dial, it is both a functional and refined accessory, ideal for every moment of the day. The Furla Metropolis women's watch stands out for its metal mesh strap and the wide round 38mm metal case, both in matt black. Equipped with a lumious dial, it is both a functional and refined accessory, ideal for every moment of the day. The Furla Metropolis women's watch stands out for its metal mesh strap and the round 31mm case. 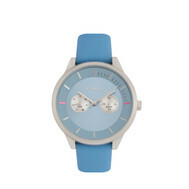 Equipped with a blue lumious dial, it is both a functional and refined accessory, ideal for every moment of the day. 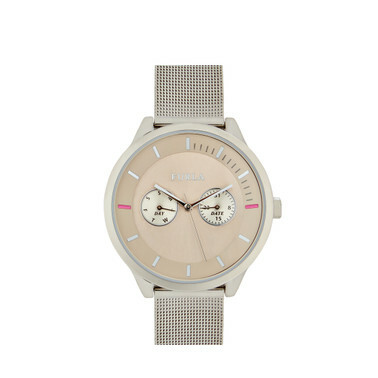 The Furla Metropolis women's watch stands out for its leather strap and the round 31mm case. 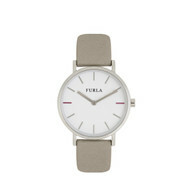 Equipped with a lumious dial, it is both a functional and refined accessory, ideal for every moment of the day. 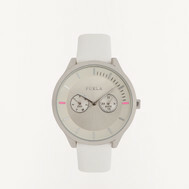 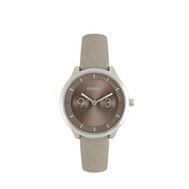 Furla Club is a women's watch equipped with a leather strap and a round 26mm case. 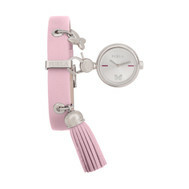 This refined accessory can be customised with an extra bezel with applied carved decorative elements. The Furla Club women's watch, designed in leather, resin and and metal, features a 26mm round luminous dial. 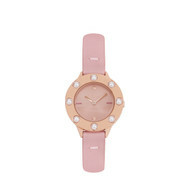 A sophisticated and precious accessory, with a metal bezel decorated with pearls or small prisms. Furla Club is a women's watch equipped with a metal mesh strap and a round 26mm case. This refined accessory with dial in contrasting colours can be customised with a bezel with applied carved decorative elements and an extra smooth leather one. 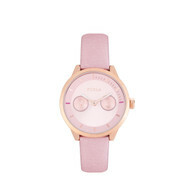 The Furla Club women's watch, designed in leather, resin and and metal, features a 26mm round luminous dial. 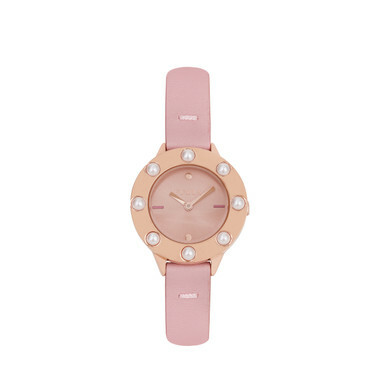 A sophisticated and precious accessory, with a strap and an interchangeable decorated bezel with applications and strass. 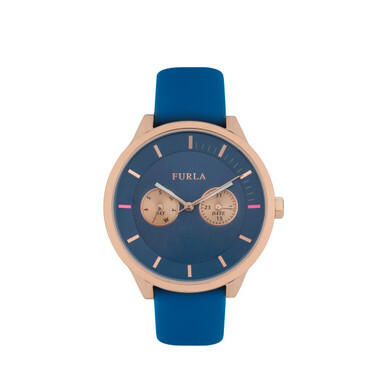 Furla Stacy, designed in leather and metal, is at the same time a women's watch and a valuable piece of jewellery enhanced by various small charms, one of which holds the dial. 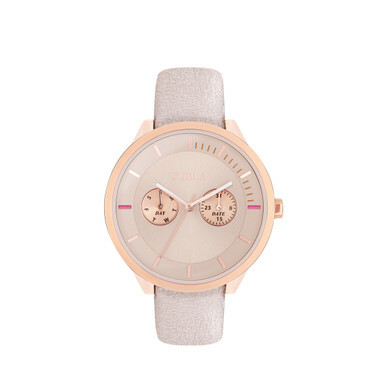 A touch of elegance for every occasion, with camellia shades, and a 23mm removable round case. 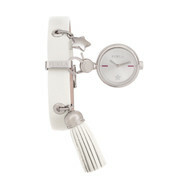 - Two interchangeable straps, one in leather and another in metal chain. Furla Stacy, designed in leather and metal, is at the same time a women's watch and a valuable piece of jewellery enhanced by various small charms, one of which holds the dial. 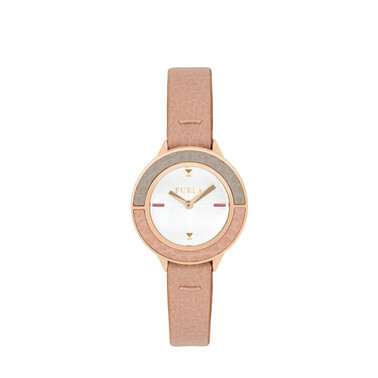 A touch of elegance for every occasion, with shades of nature in bloom, and a 23mm removable round case. 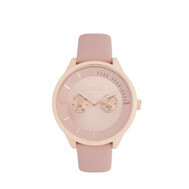 - Two interchangeable straps, one in leather and another in metal chain.